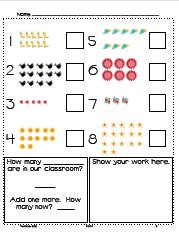 Our district is creating "mini-assessments" to assess student performance in Common Core standards. 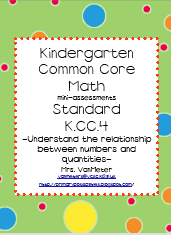 I was responsible for creating K.CC.4 standard. Currently, I have it as a FREE download on TpT. Check out the previews below and click for a free download. 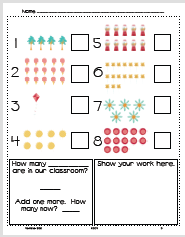 Please leave a comment or feedback if you download this freebie. Thank you.